If it wasn’t for that dreadful performance by Minnesota in week 3, the Survivor Pool wouldn’t be looking so bad. There have been some near escapes, but for the most part, I’ve been nailing not only my best bet, but also my sleeper pick. Last week was no exception with Houston and New England. This week offers a different strategy. Oddsmakers are in agreement on close games, and a couple of games that should be closer to double-digits. Here’s my favorite week 7 NFL Survivor Pool picks. This is not your ordinary pick, since the Colts are challenging their opponent, the Buffalo Bills, in having the worst roster in the NFL. 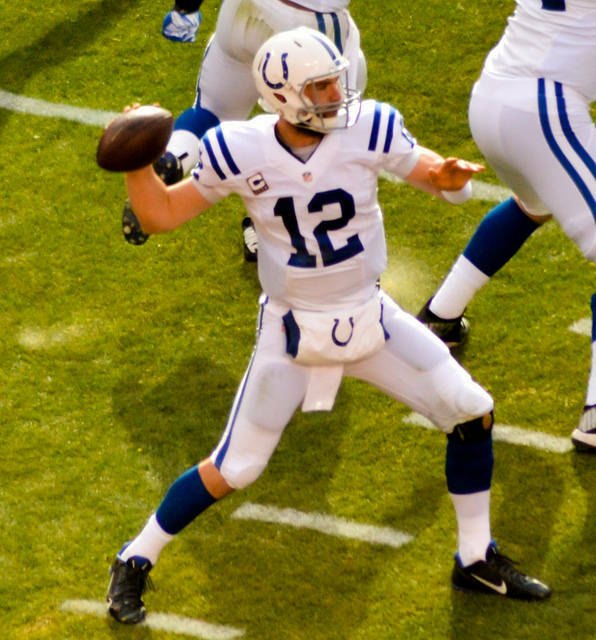 But the Colts should be getting healthier (there’s really no other way to go) and Andrew Luck resides on the sidelines. And in this game especially, that matters. Not that Josh Allen was lighting up the NFL, but he’s a much better option than backup Nathan Peterman, who is likely to start in Allen’s absence. I understand the quarterback position is difficult, but Peterman is taking it to new heights with his ineptitude. Even against a Colts defense that isn’t top-notch, I don’s see Peterman moving the ball. The Bills offense is so bad, they’re averaging 3.4 yards per play in the last three games, by far the worst number in the NFL. Luck is good enough that he won’t let the Colts lose this one, especially with the Bills enduring back-to-back road games with a backup quarterback. Buffalo’s defense has been good this year, but nobody can overcome Peterman at the helm. Carolina is not the same team on the road as it is at home. There’s a definitive home-field advantage for the Panthers. However, when they go on the road, something is different. The defense loses its ability to stop teams and the offense just isn’t consistent. That should be the case once again when the Panthers travel to an Eagles team that appeared to get back on track in week 6. Carson Wentz will continue to get better with the more time he’s been back. This defense can’t get any worse than it was in the early part of the season, either. The offense is starting to find its groove, going for 7.2 yards per pass attempt in the last three games. Carolina is not the same team on the road, so backing Philadelphia is a wise move, too. I’ve already taken Jacksonville, but if you haven’t, the line would indicate this would be a decent game to pick. Don’t be so sure, though. The Texans are getting better, especially on defense. Houston is allowing 5 yards per play during the last three games, down from its season average of 5.3. The movement in the number has come against the pass, with the Texans giving up 6.3 yards per pass attempt in the last three games, slightly above what Jacksonville has done in the last three games at 6.2 yards per pass attempt. We knew Jacksonville was going to take a step back and that slide may continue into week 7. Houston is playing better, while Jacksonville is still trying to find an offensive identity. I would skip Jacksonville in this matchup with too much uncertainty.